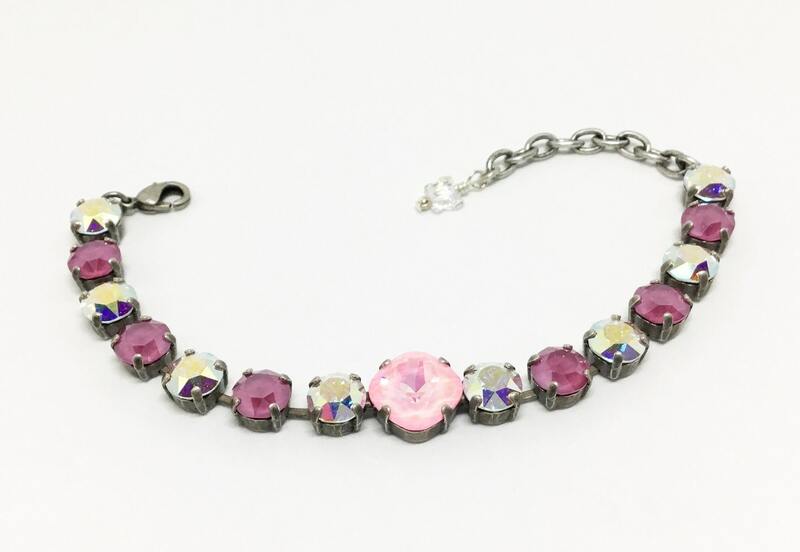 This is a glamorous sparkly handcrafted Swarovski Crystal Bracelet. 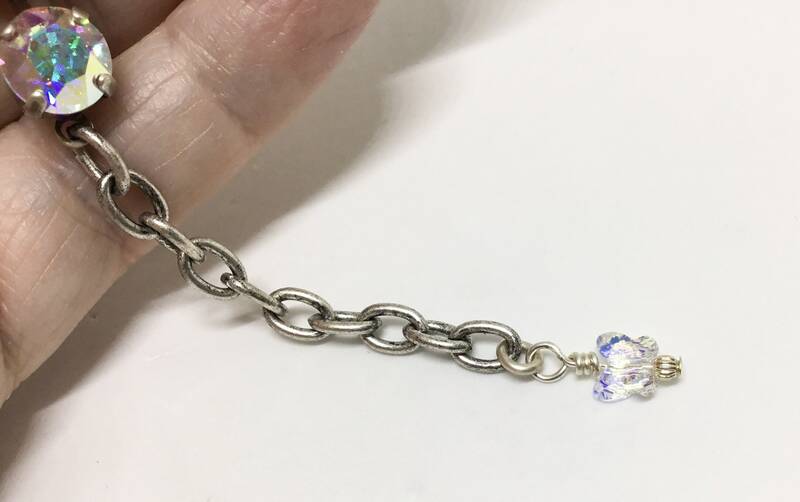 The bracelet is 7” long with a 2” extender that has a tiny Swarovski Crystal Butterfly Accent on the end. 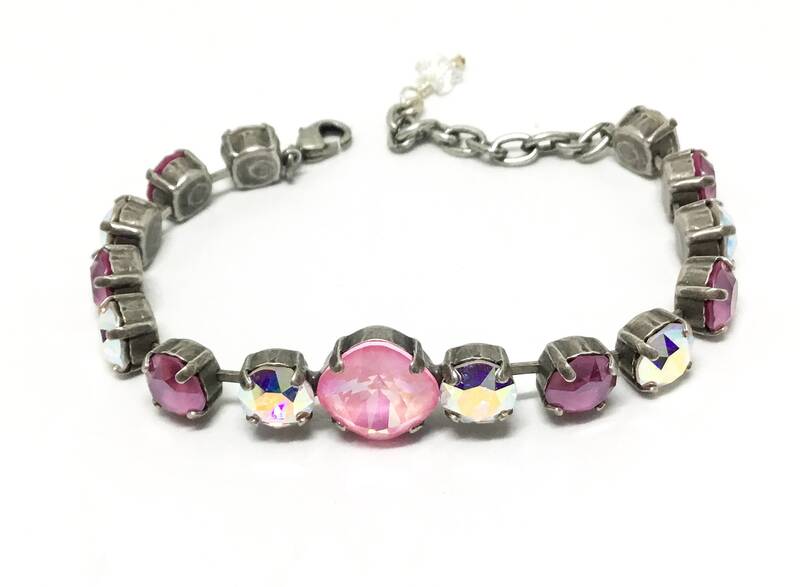 The silver oxidized bracelet has fourteen cups alternating a pink color shade with a clear AB 8mm Swarovski Crystals. 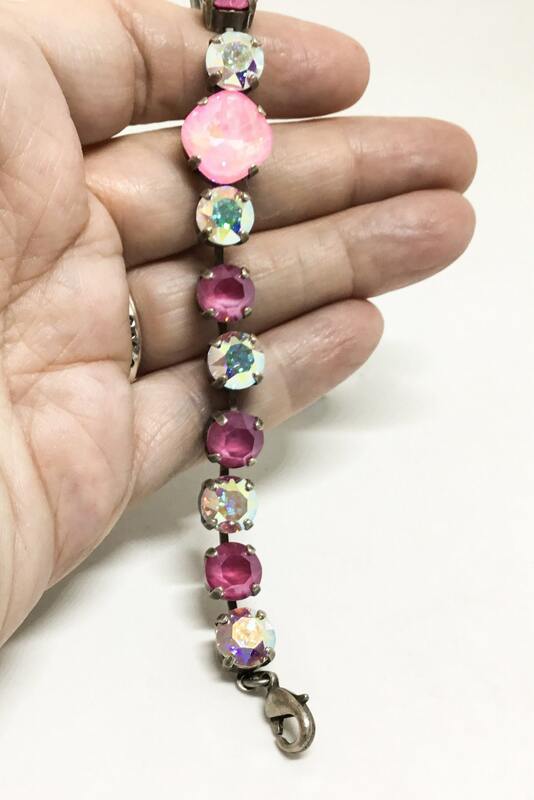 The center is a 12mm faceted cushion cut sparkly pink Swarovski Crystal. 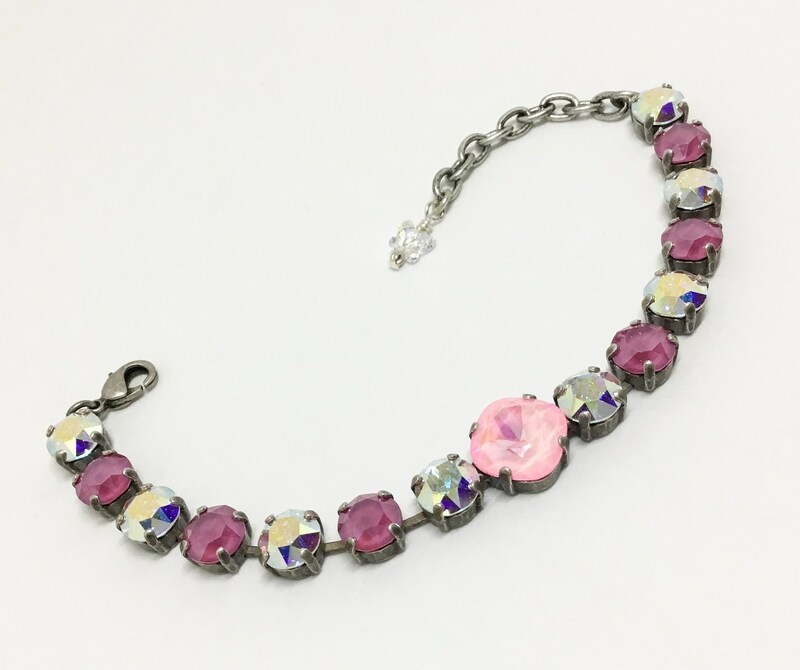 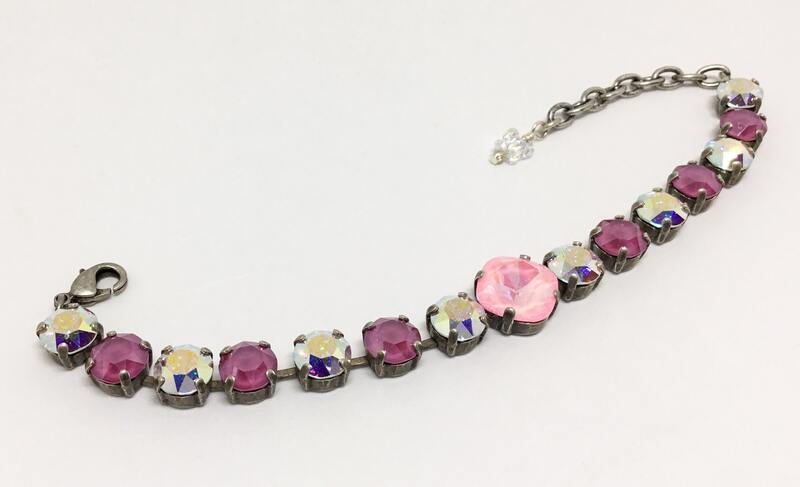 This awesome sparkly bracelet with its pink colors would be a great surprise Holiday gift and perfect to wear for work, play, or a special occasion!